2016 XTS4 with 15,377 miles on the Odometer Raven Black with Shale Cocoa interior. I just picked her up last Saturday and I got the RPO codes from the dealer. This is my first Cadillac and also my first car without a V8, so a lot for me to get use to here. Also my fist car as a daily driver in over 17 years have been driving GMC Sierra's since 2002. My last car as a daily driver was a 1996 Chevrolet Impala. I will say this Cadillac is one smooth ride. So many features, a pleasure to drive. I am getting around 23+ MPG combined driving which I think is good for an AWD sedan. First thing on my to do list is to add a spare tire to the trunk. I have everything except the spare tire spacer. Where do you live? If anywhere close to Utah I have some spare tire parts (new) you may be interested in. Congrats on your car. I am in York , PA. I have everything except the storage Bin. I think I have a lead on that. I will let you know if I need anything. Glad you like your ride. Yes, a spare tire seems like a must if out on the highway. Happy riding! When I bought my 16 XTS I was glad that the car was ordered with the spare. I made sure it was in the well before I drove the car off the dealer lot. Have fun with your new to new car. I still like mine as much as I did the day I picked it up. How did you get that picture of your car on this thread? Never mind, I finally figured out how to down size pictures. 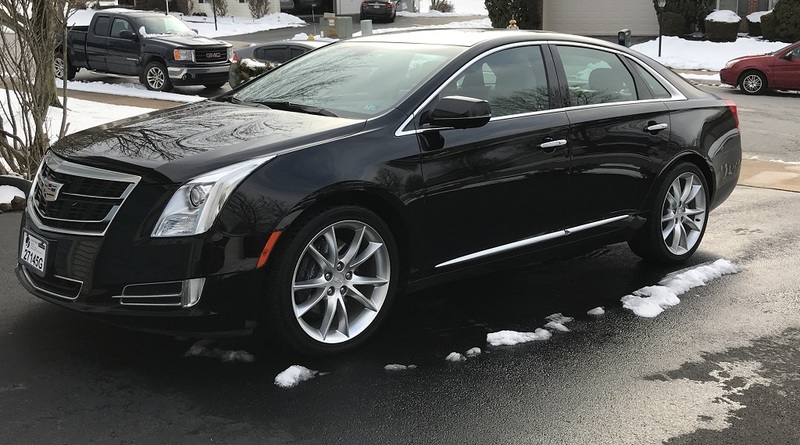 2013 XTS4 Remote Start and Climate Control Help! New Owner!